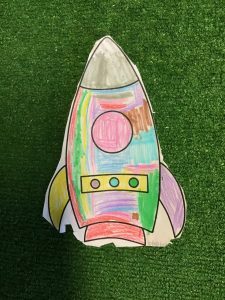 As part of our class focus on space, this week, we made blow space ships. 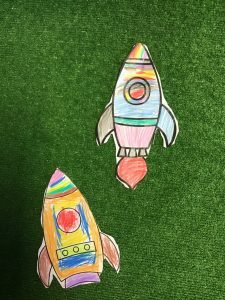 We investigated the best way to make our space craft fly the highest and furthest. 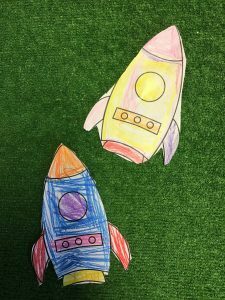 The children put a lot of effort and patience into creating their rockets; persisting with the task of accurately cutting out. Well done Yoki and Rory, your scissor skills are superb!